I have today posted off to Her Majesty's Revenue & Customs the claim for GiftAid relating to our 2006/07 tax year, which ended on 31st March. The claim is for £343.53 and is calculated as follows. Of the £1867 received in subs for the year we have GiftAid declarations covering £1218. This number is multiplied by 22, then divided by 78! This is all thanks to the support of parents and relatives who have filled in and returned the yellow (sometimes!) GiftAid declaration forms, so give yourselves a pat on the back!  Regular readers may recall that we applied for GiftAid status almost a year ago when we learned how much the scheme could give back to Crofton Scouts. Our first claim, which was backdated as far back as 2001, relating to some of the young people who have been members of Crofton Scouts during that time, resulted in a payment of £200.85.